There’s nowhere called Yiddishland, except it is everywhere, it’s a state of mind. You don’t have to be fluent in Yiddish, you don’t have to be Jewish (though both of these make life easier). And you don’t all have to be in the same state of mind as the other inhabitants, other than to value the diaspora and have an interest in the shared history of a disparate community of Yiddish speakers. Not every part of Yiddishland in the past was a happy place, Hersh Mendel, quoted in this book, remarked that he “cannot remember one single joyful hour” at heder (religious education classes). He became a revolutionary.This was the period, one of the periods, when Jews lived in abject poverty. Yaakov Greenstein recalls “a neighbour’s farm where there were eight children at home. The father went from village to village with a colleague, collecting scrap metal. They had a cart but no horse to pull it; one of them took the front, the other pushed, and they went along the roads, in this way, among the goyim, from dawn to night.” For some, the answer lay in socialism which could lead to family problems such as disapproval from religious parents annoyed because the Bund (the main Jewish socialist organisation) published its daily newspaper on Shabbos, on the Sabbath. 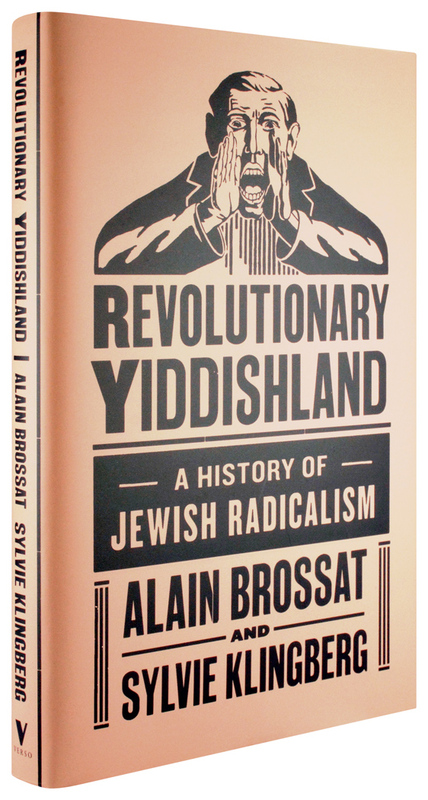 Revolutionary Yiddishland was first published in France in 1983 when there was a critical mass of people still alive from that period to interview. The new English-language edition keeps their memory alive, as the best parts of the book are the interviews, quotes and reminiscences of those who were the history younger people can only experience secondhand. We read of people like Pierre Sherf, wounded while taking part in the Spanish Civil War, a volunteer in the French army against the Nazis and then active in the underground Resistance with other Romanian immigrants in France. People like Hanna Levy-Haas from Sarajevo, another member of the Resistance, this time to the Italian occupation of Montenegro. As an elder, living in Israel, she became active in the women’s movement and against the war in Lebanon. Those who were Communists had the greatest problems over the Molotov/Ribbentrop pact. Unease would be an understatement and in France the Yiddish left paper Naie presse could barely hold the Party line. When Hitler invaded the Soviet Union, Adam Rayski said “And so, for us to become ourselves again – that is Jews, Frenchmen, anti-fascists – we needed Hitler’s aggression.” But it was not over yet with activists like Artur London arrested as part of the anti-Semitic Slansky round-up in Czechoslovakia. The fact that he survived being in Mauthausen concentration camp helping to prove his culpability. This was the revolution betrayed. Brossat and Klingberg return to the early debates within the Jewish socialist world, including the warning of the Bund leader Henryk Erlich against the likely Bolshevik dictatorship. Erlich was later murdered by Stalin’s men. Organisations split over their attitude to the Russian Revolution leading to now long-forgotten groups like the Faraynikte and the Kombund, the latter being the group of Bundists who went over to the Communists after the Revolution, as did many members of Poale Zion. Odd to think the British descendant organisation of Poale Zion in this country is the right-wing Jewish Labour Movement. Ironically Israel became the home for many of these revolutionaries, including Sylvie Klingberg’s own father Marcus Klingberg who, despite everything, spied for the Soviet Union. He was finally arrested in 1983 and sentenced to twenty years in prison. Sylvie Klingberg became an activist in the Israeli socialist group Matzpen which was an anti-Soviet breakaway from the Israeli Communist Party. They must have had some interesting family discussions.